Enterprise Software Systems – Total Quality Systems, Inc.
Total Quality Systems, Inc. has a long tradition of developing and sustaining enterprise class, game changing software system solutions for the Department of Defense and private industry. These software systems range from streamlining of acquisition requirements documentation, to collection of serialized repair history of high value assets, to streamlining maintenance, repair, and overhaul processes. cASM is an award winning DoD Acquisition Category (ACAT) III program. It is a web-based software application built to create pre-contract award requirements documents and forms compiled in a digital package for transmission to a contract writing system. Users input data once into cASM and re-used in multiple documents and forms through an interface similar to easy to use commercial tax preparation software. cASM selects the set of Federal Acquisition Regulation (FAR) and DFARS required documents and forms based on the type of acquisition, estimated dollar amount and the competitive nature of the acquisition. cASM employs a customizable workflow for reviews and approvals prior to execution by the Contingency Contracting Officer, thus reducing coordination time and potentially hazardous travel in contingency locations around the world. Contingency contracting planners can develop and store joint procurement packages comprised of individual service component’s plan involved in conjunction with the respective operational plan. The plan can then be selected and converted into a requirements package(s) in minimal time and quickly procured, thus reducing initial deployment timelines. cASM will decrease the time to plan, build and approve procurement requirements packages in austere environments resulting in faster delivery of life support products and services to the warfighter in any contingency. TQS is the original developer and current sustainer of cASM for the DoD under a Small Business Innovation Research (SBIR) IDIQ contract. As the demands of online transactions grow, enterprises (commercial as well as governmental) around the world look for an Internet platform to promote their brands and products through a strong web presence. To succeed, every enterprise must provide seamless digital experiences across broad market segments. To achieve this, developing a Content Management System (CMS) architecture with features that align with business goals is essential. TQS is developing such a CMS built upon our Decision Support Tool (DST) Core. 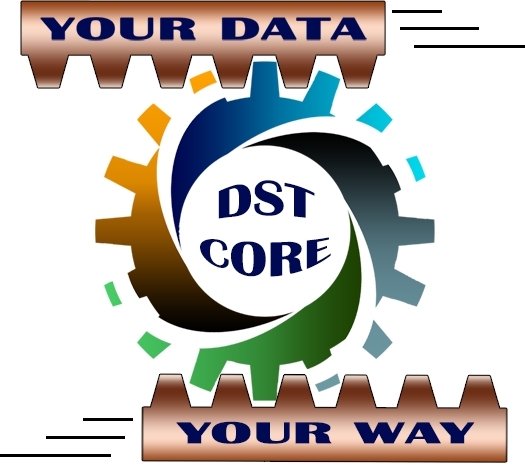 DST Core features are based upon a Service Oriented Architecture (SOA) that easily allows: 1) Adding Business Domain Specific Extensions; 2) Adding User Accounts; 3) Adding Cloud/Enterprise Integration; Adding Flexible Work Spaces to Meet Mission; 5) Defining Workflows to Enable Collaboration; 6) Receiving Task Assignment Notifications; 7) Running Built-In and Customizable Reports; and 8) Customizing Informative Dashboards. The best known of the ASP.Net CMS family, DNN is known for its flexibility. There are multiple versions of DNN, allowing additional flexibility in a design. DNN comes in a premium version with a full set of features, but there’s also a free open source offering should a customer require the source code. Umbraco has huge community support, built up over 10 years of existence as an ASP.Net CMS and it is open source. Umbraco is coded in C# with support for several database types and offers very good template development tools. Although mojoPortal has a reputation for being easy to use, it is also one of the most powerful ASP.Net CMS solutions available with good scalability and a solid core to grow upon. The base install of mojoPortal is free, and an active community of developers have created a diverse range of modules. This is Microsoft’s venture into the world of open source CMS development. While it lacks some of the features of other CMSs, it is being built up by a community who are supported by a team of professional developers from Microsoft. Look for Microsoft’s influence and market reach in the future. Do CMS features and functionalities desired, align with the business goals and requirements? How much customization will be required and how much can be afforded? Does the CMS offer enough flexibility for future changes in business requirements and projected growth? Are there existing systems that need to integrate into the CMS? How much data will need to be imported? Will existing staff want to manage the web-based content? Does it present a long learning curve? TQS would like to talk to potential customers and share our expertise to help you work through the answers to those questions. To learn more about our Content Management System services, and find out how TQS can be of assistance with a new project (or to support an existing CMS), please contact TQS. TQS can enable your business to present and manage “your business, your way” to the world. TQS developed and currently sustains DoD's web-based G200 Defense Repair Information Logistics System (DRILS) that has been collecting serialized maintenance data for U.S. Air Force aircraft avionics worldwide since 2000. The data collected by DRILS is fed to the Air Force Data Services (AFDS) and Reliability & Maintainability Information System (REMIS) repositories for consumption by users worldwide. G200 DRILS data enhances sustainment support to the warfighter through improved decision support, including root cause analysis and supply chain management. The flexible design of the DRILS system has withstood the test of time and has proven to be an ideal rapid prototyping environment for Air Force and DoD level initiatives such as Item Unique Identifiers (IUID), warranty tracking, consumption and demand forecasting, performance based contracts, as well as joint service data collection and analysis. CDRILS is the commercial variant of the popular G200 DRILS software. CDRILS is a web-based offering for private industry, namely original equipment manufacturers (OEMs) to use and collect detailed serialized maintenance history in support of high value repairable assets. It provides all of the features and functions of G200 DRILS without operating on the Department of Defense network. Data collected in CDRILS is directly compatible with G200 DRILS and allows OEMs to supply serialized history collected under contract repair to the Department of Defense for import into the G200 DRILS at the appropriate time intervals. TQS developed the PODDS system for the 309th Maintenance Wing (MXW) at Hill AFB, Utah. PODDS is a web-based software program that is used by 309th Process Engineers to document and electronically coordinate first time repair and overhaul processes that augment technical data and provide specific instructions to depot personnel on the proper description of their work task. PODDS enables Process Engineers to lay out their process orders and coordinate the automated workflow of review and approval of the process order before it is published to depot repair personnel.